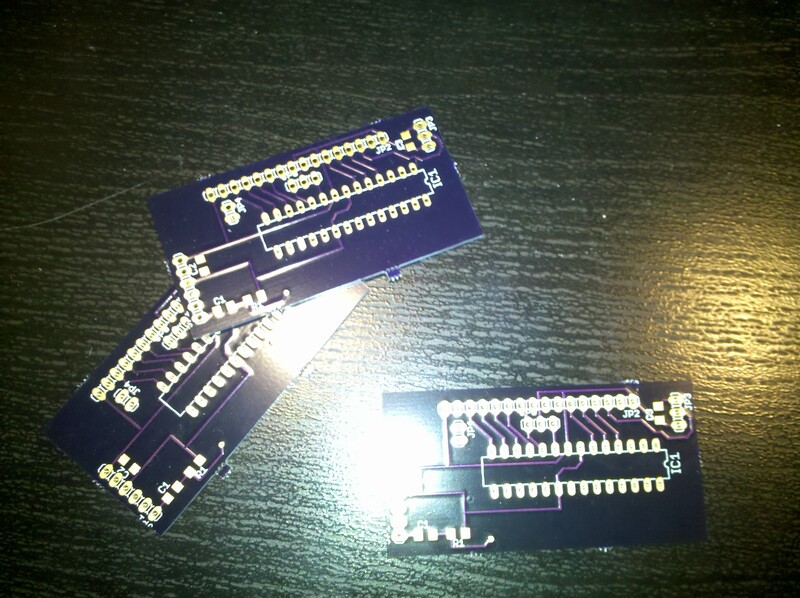 My goal is to practice designing PCBs as well as make something useful. 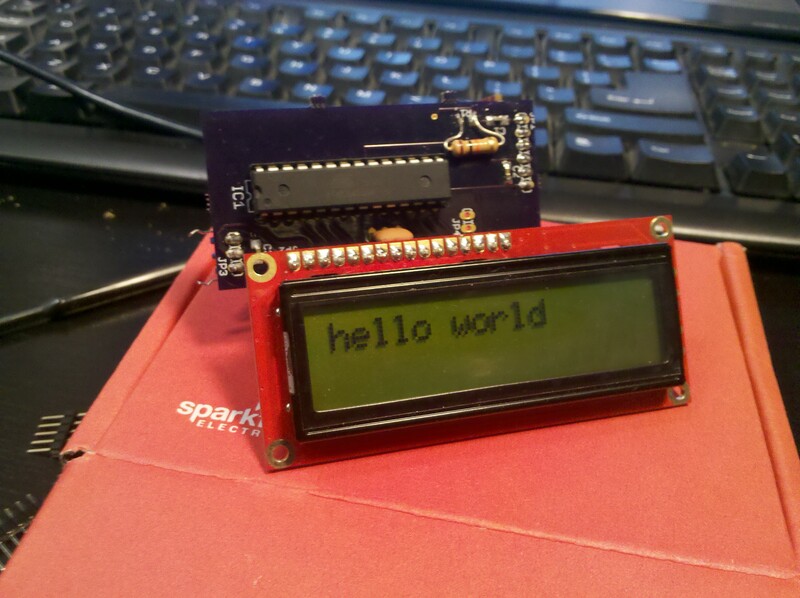 Here is a very simple board that drives a text lcd using an atmel atmega 328. 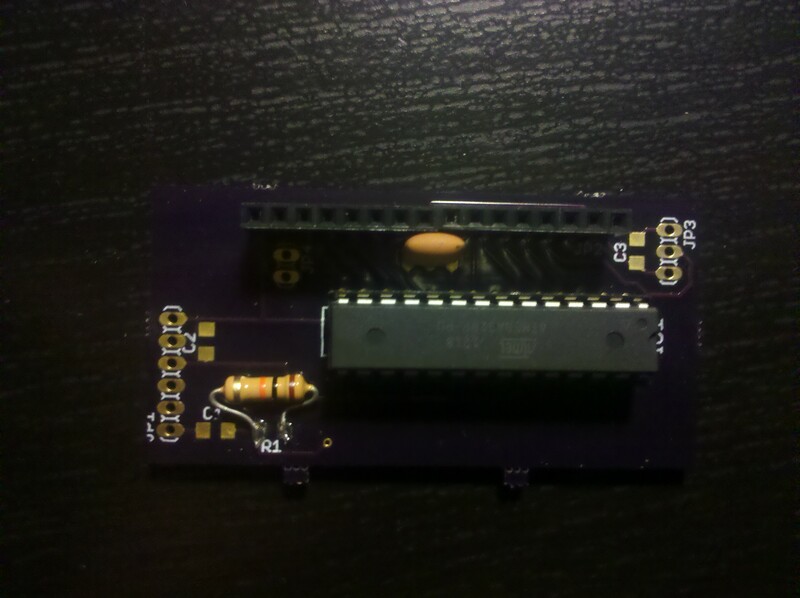 All there is to the board is the atmega, a 16 mhz resonator, a few decoupling capacitors, a potentiometer, and a resistor. 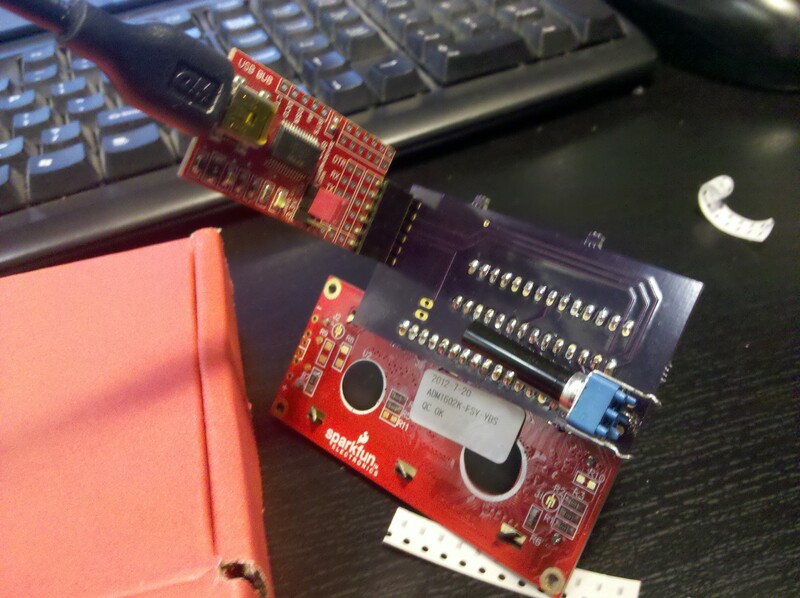 I didn't have any smd components when I first started populating the board so I soldered a resistor on pads meant for a 1206 package; I decided to wait until I got some smd parts before hacking the rest of them on this way. 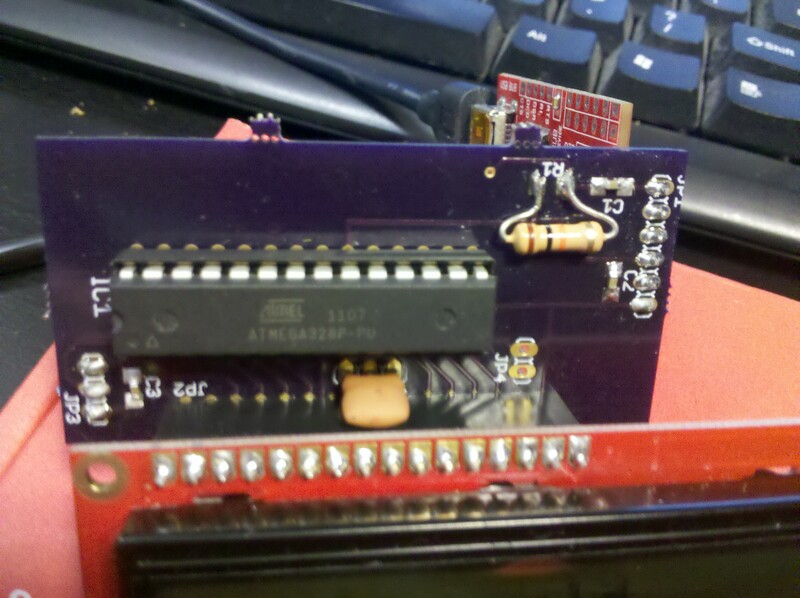 Here is the prototype on a breadboard. 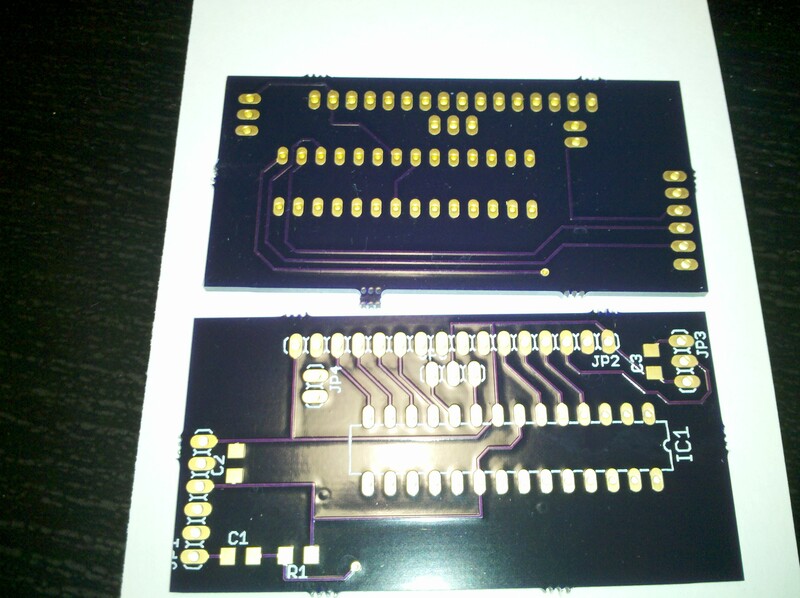 A few pictures of the assembled board, the through hole resistor has since been replaced. 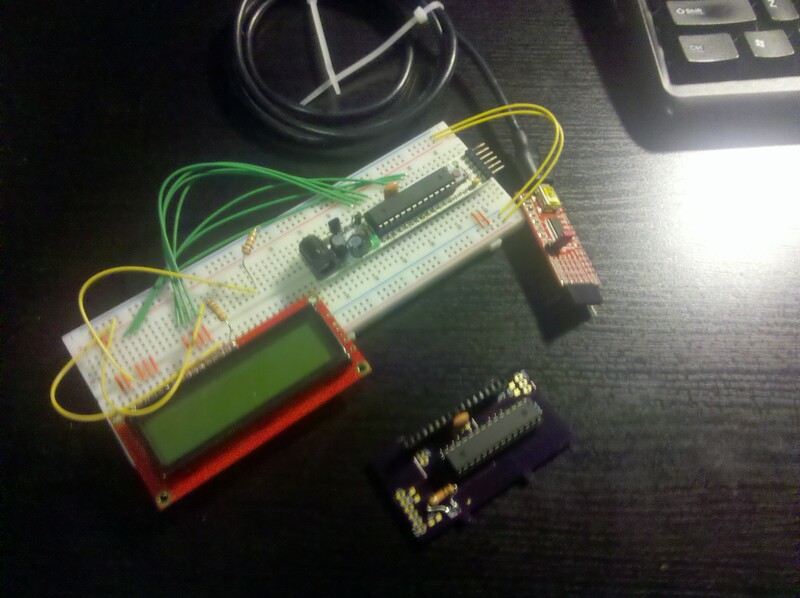 I wrote some firmware to read incoming strings from the UART and write to the LCD. 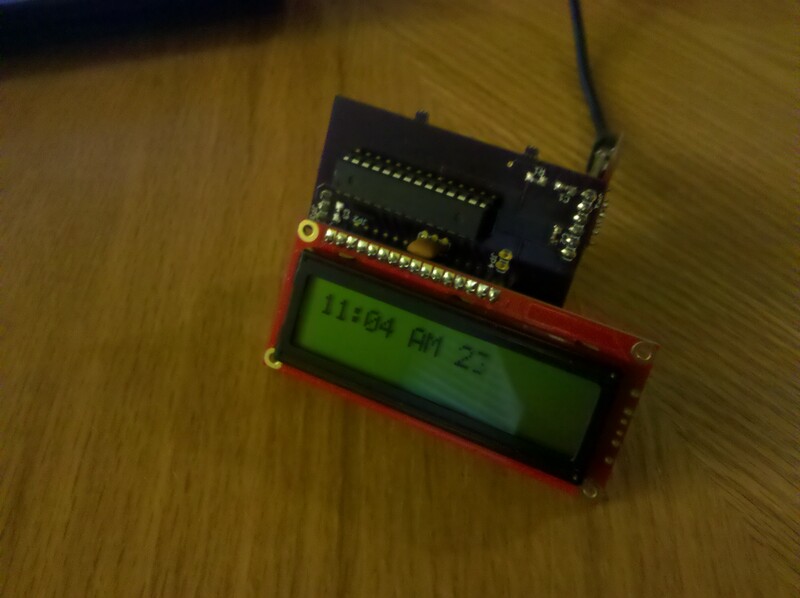 I have a C# program writing the time out over the serial port every few hundred milliseconds.